The former captain could have reached the landmark in the 4th ODI but was unfortunately dismissed and it is now expected that he will achieve the feat in the 5th and final ODI of the series. Former Team India captain Mahendra Singh Dhoni is just one run away from reaching a historic milestone in his illustrious career and that is, one run from reaching 10,000 ODI runs. Yes, he had reached the landmark earlier but 174 runs had come from the Asia XI against Africa XI match in 2007. His current tally in ODI cricket stands at 10,173 in total, 9,999 which have come from representing India. So Dhoni is one run short of 10,000 ODI runs for India. The former captain could have reached the landmark in the 4th ODI but was unfortunately dismissed. Dhoni scored 23 runs off 15 balls before being removed by Kemar Roach and it is now expected that Dhoni will achieve the feat in the 5th and final ODI of the series in Thiruvananthapuram. 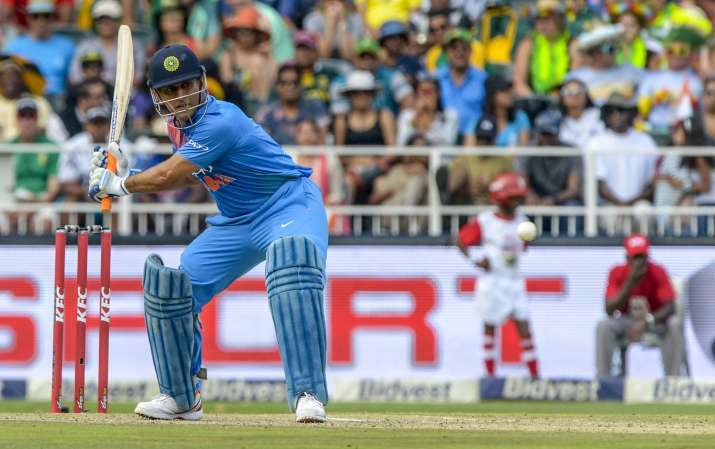 A victory in the fifth and penultimate One-day International will ensure India maintain their unbeaten run since the reverse against South Africa in 2015.